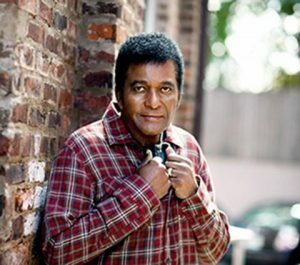 Willie 102 Welcomes Charley Pride to the Carson Center Friday, May 10th. A trailblazing singer who became the first black Country Music Superstar, Charley Pride has had an amazing career. From his humble beginnings as a sharecropper’s son on a cotton farm in Sledge, Mississippi, he caught fire with 1967’s ‘Just Between You and Me’, breaking into the Top-10 Country chart and garnering his first Grammy nomination. Between 1967 and 1987, he amassed 52 Top-10 Country hits and sold tens of millions of records worldwide. In 1971, his #1 crossover hit ‘Kiss An Angel Good Mornin’ sold over a million copies and helped him to win the Country Music Association’s Entertainer of the Year award and the ‘Top Male Vocalist’ awards of 1971 and 1972. It also brought him a ‘Best Male Country Vocal Performance’ Grammy Award in 1972. A string of unforgettable hits spanning three decades, songs like ‘Is Anybody Goin’ To San Antone,’ ‘Mississippi Cotton Pickin’ Delta Town,’ ‘Burgers And Fries,’ ‘Roll On Mississippi’ and ‘Mountain Of Love’, have made Charley Pride a living legend. His legacy in Country Music history was firmly established in 1993, when he was inducted into the Grand Ole Opry.